Photo credit: Adapted by WhoWhatWhy from remuslt / Flickr (CC BY-NC 2.0). President Donald Trump has called on Congress to quickly pass sweeping “tax reform” legislation this year. While his entire plan remains something of a mystery, one element stands out: Trump has insisted on reducing the corporate tax rate to 15%. Any debate on tax policy is fraught with confusing terms, doublespeak and a whole lot of obfuscation. Our tax code is too complicated and unfair because it was designed by lobbyists for special interests. That is why the groups and individuals with the resources to influence lawmakers end up being the primary beneficiaries of the government’s tax policy. For example, most of the proposed tax cut “reforms” being proposed will primarily benefit the very rich at the expense of the middle class. Such tax cuts — in addition to increasing the record-high income disparity between the top 1% and the rest of America — also increase the danger of a major market collapse. Rather than talking about tax cuts for the rich, we should be talking about cutting the tax subsidies for the rich so that those below the top 1% will have more money to buy goods and increase demand. Currently, the overall PE ratio is about 25. This figure will go up even more when corporate tax subsidies are increased. However, this also means that when the current bubble bursts, the fall of the market will be much more severe. One stock market “expert” said stocks were as much as 40% over-valued. That, in turn, would likely trigger further bailouts that ultimately benefit the rich. Putting aside the question of whether the stock market reflects the real economy, the psychological damage will be significant. Real reform, according to most economists, would be to cut all tax subsidies — or, as economists call them, tax expenditures, because they are hidden subsidies designed for political, not economic reasons — while lowering the rates for everyone. Doing so might overcome the resistance from most of those who benefit from tax subsidies — because they might end up paying lower rates with less compliance costs. The Federal Reserve’s efforts to hold down interest rates and flood the market with money, as well as Republican promises to cut taxes to boost spending and economic growth, have not worked. The US is facing stagnating (or even negative) economic growth and a declining dollar. The net result of the Fed’s so-called Quantitative Easing (QE), which was designed to give the stock market a boost, has only encouraged corporate managers to pile on debt for their own financial benefit, not the economy’s. From 2015-2016, debt rose $717 billion. But long-term business investments — in plant, equipment, and inventories — fell by $21.2 billion. Corporations are borrowing billions of dollars in order to buy back their shares to increase dividends and raise the price of the shares still on the market. 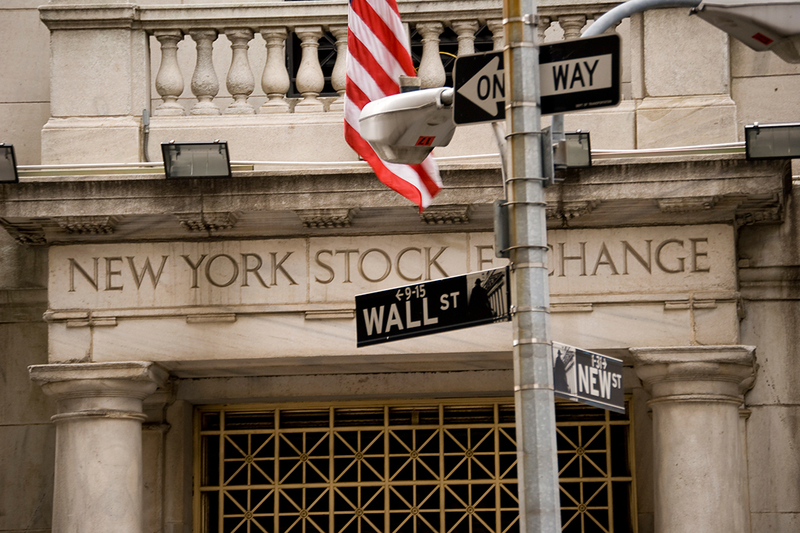 These maneuvers beef up stock market returns — capital gains from the sale of stocks are taxed at a lower rate than ordinary income — but do nothing to increase the growth potential of the US economy. There appear to be two significant reasons why the money was used for increasing stock prices, rather than being invested in increased production. 1) Executives and shareholders, who are among the wealthiest Americans, took most of the benefit in salaries (stock options) or by converting ordinary income (dividends) into capital gains. 2) There was a lack of demand because those below the highest income group have, for the last 40 years, seen their economic prospects decline as the percentage of GDP that went to the top increased substantially. Remember when a blue collar worker could support a family on one income? Those days are gone. Since 1980, almost all the increase in wealth in the United States has gone to the very rich. In 2016 alone, according to Credit Suisse, the top 1% of households gained an average of about $3,000,000, nearly half of which came from the 40% of middle class households above the median — which lost an average of $35,000 that year. Between 1973 and 2015 productivity increased by 73.4%, but hourly compensation only increased by 11.1%. This shift has been due in large part to the tax subsidies that the rich get, e.g., lower rates on capital gains compared to the tax on earned income. Rather than talking about tax cuts for the rich, we should be talking about cutting the tax subsidies for the rich so that those below the top 1% will have more money to buy goods and increase demand. But you’d never know it from the tax “reform” proposals, particularly those advanced by the Republican leadership, which are now being discussed in Washington. 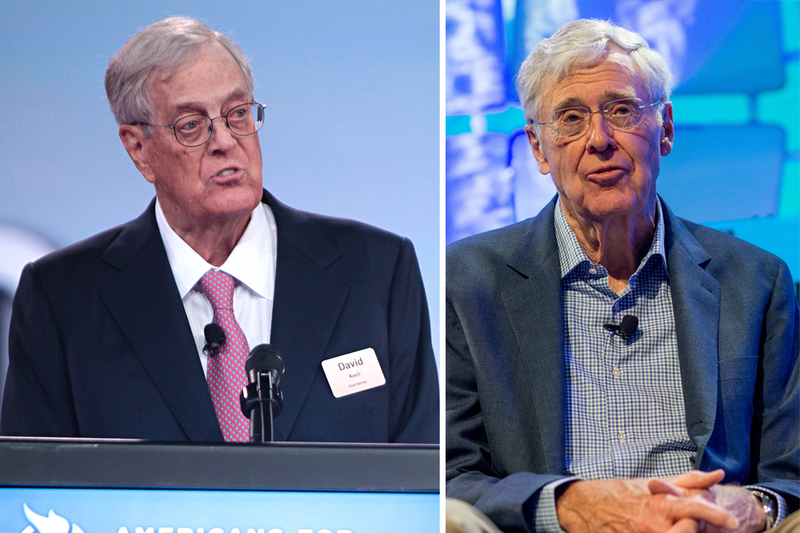 The Koch brothers, some of their billionaire buddies and multinational corporations have been quietly but forcefully pushing the United States to adopt what is called territorial taxation. Territorial taxation means that the profits the multinational corporations say they earned outside the United States would not be taxed. What better incentive could corporations have to shift jobs and profits offshore? This would also give them a real advantage over domestic competitors that have to pay taxes. The justification offered for this proposal is that the United States has to level the playing field for American multinational corporations against foreign multinational corporations. There are several problems with this justification. First, the corporations affected are called multinational because they will invest wherever in the world they think they can make the most profit. 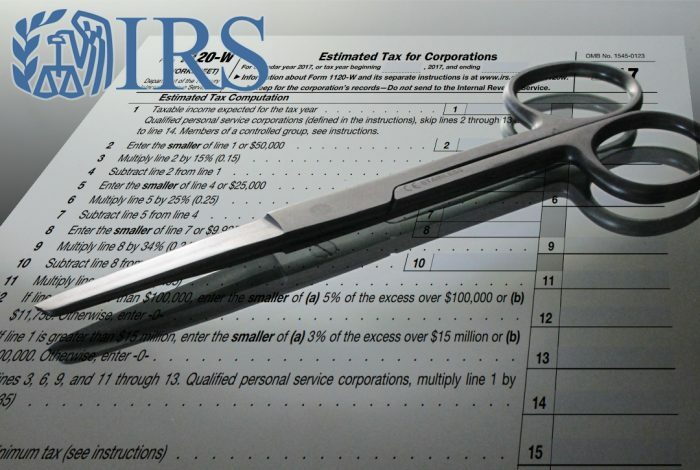 Second, while the US does have a high nominal corporate tax rate, because of various tax subsidies, the effective tax rate for multinational corporations located in the US is about the same as those headquartered outside the US. 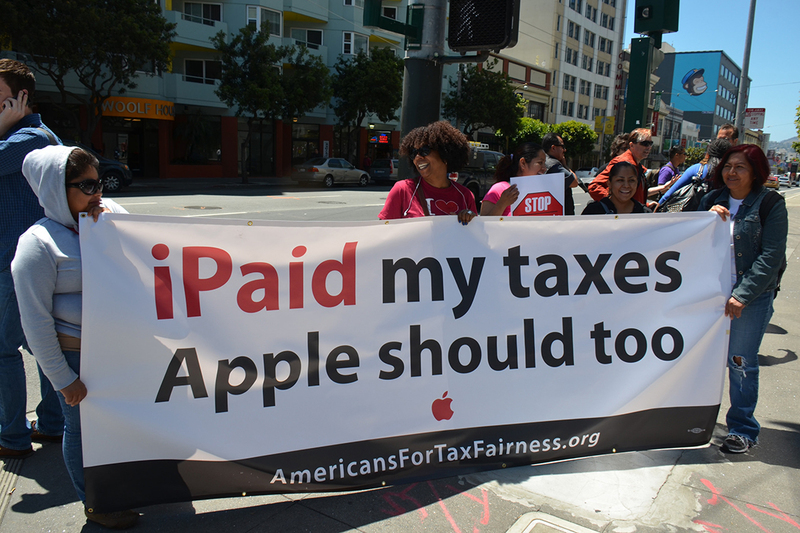 Third, the current system has allowed multinationals in the US to hide from US taxes about $2.7 trillion offshore. David Koch (left) and Charles Koch. Photo credit: Gage Skidmore / Flickr (CC BY-SA 2.0) and Fortune Brainstorm TECH / Flickr (CC BY-NC-ND 2.0). Better for the US economy would be legislation imposing some unitary allocation of profits so that multinational corporations can’t keep gaming the system. For example, if a multinational had 10% of its sales in the US, then the IRS could tax 10% of its worldwide profit and avoid all the transfer-pricing games that the agency has admitted it cannot adequately police. Imposing a Value Added Tax (VAT) on top of the US’s current loophole-ridden tax code to raise needed revenue would disproportionately affect middle- and lower-income taxpayers, cut demand, and impede the country’s economic recovery. However, politicians who do not want to face the backlash against reducing tax subsidies for the rich have proposed such a measure as a way of generating revenue. A VAT is really a sales tax along the chain of production where each party gets a credit for the VAT already paid and pays the VAT on the increase in value it contributed. While it looks simple when first proposed, it is subject to the same kinds of loopholes that are generated by special interests. In some European countries, for example, baby food is exempt. Well, when is a food “baby food”? How do we tell? An even bigger problem is posed by the Internet. Where can intellectual property be taxed and how do we determine where a particular value was added? Unfortunately, it will be proposed anyway because Democrats understand how much money a VAT could raise and the Republicans understand how regressive it is, i.e., it imposes a significantly heavier burden on lower-income individuals. Only people who have estates worth more than $5.49 million (or $10.98 million, if married) pay any estate tax. In 2017 that would be about 5,500 people in the US. And, if paying it is a financial hardship, there are provisions for paying it over time (or avoiding it entirely, if you have competent attorneys or accountants). Still, Republicans have succeeded in confusing people about the estate tax by calling it a “death tax.” This has scared people who would never be affected by it into supporting a repeal. In fact, the estate tax actually benefits just about all Americans because, in addition to raising needed revenue, it slows the vast accumulation of wealth by the top 0.01%. For the last 35 years the pendulum of government policy has swung in favor of the plutocrats. Now the pendulum is beginning to swing back. Eliminating the estate tax will only increase wealth concentration in the richest 1% of Americans. It’s hard to shed a tear for someone who can only pass on nearly $11 million tax free to his heirs. So why the push to scrap the estate tax? Could it be campaign contributions from the super-rich? US-based multinational corporations hold approximately $2.7 trillion in untaxed profits offshore. These corporations, like Pfizer, and their lobbying organizations, like the Chamber of Commerce, are now claiming it would help the US economy if they could repatriate these profits at a low tax rate. But the US tried that in 2004 when it allowed these corporations to repatriate $527 billion held offshore at a 5.25% rate (rather than the nominal 35% rate). Despite specific prohibitions in the law against using that money for stock buybacks or executive bonuses, 92% of the repatriated money was in fact used for stock buybacks and executive bonuses, according to a Senate Permanent Investigations report. The report also documented that those same corporations, rather than increasing jobs, cut them. Pfizer, for example, which accounted for the largest share of the repatriated profits, cut 11,748 jobs between 2004 and 2007. Allowing these multinational companies to bring that money back to their US base without requiring them to pay taxes at the standard rate would give them a big advantage over domestic companies that have paid taxes. Instead of giving multinational companies yet more incentive to shift profits and jobs offshore, the US should eliminate deferral of taxes on profits held overseas, both retroactively and prospectively (after subtracting any foreign taxes they have actually paid). Unfair? Perhaps, but the multinationals have had the use of these untaxed profits for years. And, if the US does not tax them, other countries will. The hard truth is that the US will need increased taxes, not tax cuts for the wealthy, to pay for what people demand of the government — like providing health care for the increasing number of elderly, and cutting the deficit. In order to provide long-term benefits for the economy by lowering the deficit or by increasing investment in productive areas such as education and infrastructure, the US will have to level the playing field — between domestic and multinational corporations, and between the rich and the middle class. Unfortunately, these do not provide the short-term benefits sought by those who make the bulk of campaign contributions, so the media is going to have to be much more aggressive about covering these issues. History shows that government policies are best seen as a pendulum. For the last 35 years the pendulum of government policy has swung in favor of the plutocrats. Now the pendulum is beginning to swing back. Middle class unhappiness with the current economic situation arguably resulted in President Donald Trump’s election. He won not as a representative of the Republican Party but as an outsider against the “Establishment” epitomized by Hillary Clinton. If, as seems likely, he cannot fulfill his promises and the economy experiences a serious correction — read, recession — the results will not be pretty. 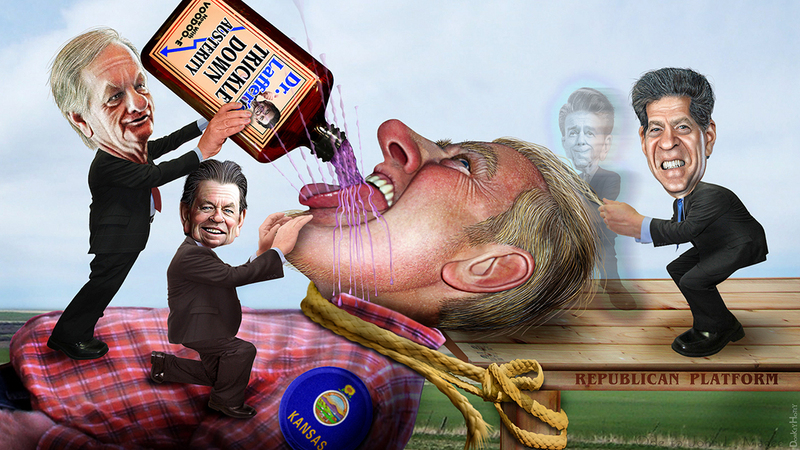 Over the last five years Kansas conducted a painful experiment in trickle-down economics. Governor Sam Brownback cut business taxes substantially in 2012, promising that the result would be increased revenue, jobs and business growth. Instead, the tax cuts led to a $948 million deficit, slow GDP growth (6.1% vs 8.3% in the US as a whole), slow private employment growth (5% vs 9.1% in the US) and two downgrades of the state’s bonds. The end result was underfunded education and crumbling infrastructure, which caused businesses to flee the state and Republican legislators to reverse course and raise taxes to fund crucial programs like education. Brownback’s reward was to be appointed as the State Department’s Ambassador-at-Large for international religious freedom, where he won’t have anything to do with economic issues. Cutting tax expenditures — those politically motivated loopholes that benefit corporations and rich individuals — will cut the deficit by increasing revenues. Unfortunately, though, the Republican proposals so far increase tax expenditures (subsidies) for the rich under the rubric of cutting taxes. According to a detailed analysis of what we know about Trump’s tax proposals, 0.05% of Americans who earn more than $1 million a year would get 48.8% of the tax cuts or an average of $217,790 per person, while the 44.6% of Americans who earn less than $45,000 a year would get 4.4% of the tax cuts, or an average per taxpayer of $230. The result will be to increase economic concentration of wealth, increase deficits, and hurt the economy — because the rich spend a much smaller share of their income than the rest of Americans, leading to lower demand for goods and services. The US ought to cut all business tax subsidies in order to better fund what the public demands from government: a sound military, good infrastructure, good health care, and good education, all of which are fundamental to a strong economy. Of course, even if we eliminate all business tax subsidies, we will still have to deal with the issue of whether to increase taxes to pay for all the programs we want and need. Related front page panorama photo credit: Adapted by WhoWhatWhy from IRS Financial Service Center (Carol M. Highsmith / Library of Congress).